Coming home to a clean, fresh space is a great feeling, especially after you have had a long, hard day. Not having to do the cleaning yourself, however, is even better. At Elite Cleaning Services, LLC, we are happy to take care of the cleaning so you can focus on more important things. Our Manassas residential cleaning crew can even come clean while you are at work or tending to your other responsibilities so you have one less thing to worry about. We know how busy you are; let us bring your home to a new level of clean while you enjoy your free time. Why choose our team of cleaning experts? Elite Cleaning Services provides home cleaning for residences of all sizes. Whether you live in a small one-bedroom apartment, duplex, condominium, or even a large mansion, our team can handle it all! We understand the importance of regular cleaning, and we work hard to take care of your home’s individual needs, whether you rent a small living space or own your own home. We offer both one-time cleaning services as well as regular contracts to make sure your home is clean and comfortable. Our Manassas house cleaning company proudly offers a variety of cleaning plans which can be customized to a frequency that is right for you. Whether you need us for regular services or a thorough cleaning prior to a move, we are dedicated to show up on-time and treat you and your property with respect. No cleaning job is too small or too large for us to handle. Elite Cleaning Services believes the key to your satisfaction is reliability, and that means we take extra care to make sure we’re there for you and your home when you need the job done right. Each of our cleaning services is guaranteed—you’ll be satisfied with the service you receive or we’ll make it right. 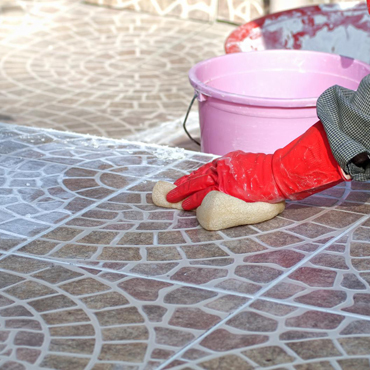 Our experienced cleaning experts know what products and techniques are needed for the many various areas of your home that we’re cleaning, and we take the time and effort to work with you to discuss what you’re looking for an develop a strategy that suits your needs and schedule. Call us now at (888) 627-1497 to request a free, in-home consultation. We serve clients in Virginia, Washington DC, and Maryland.